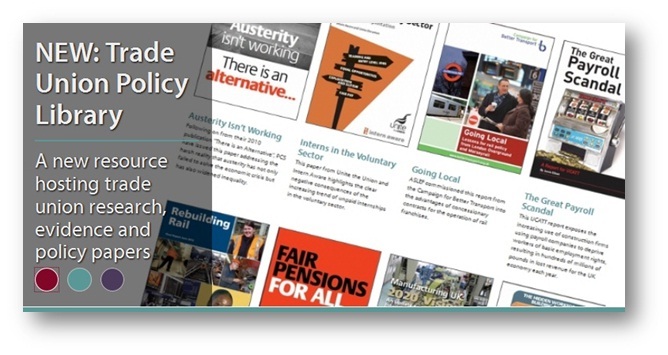 Today the Centre for Labour and Social Studies has launched a new resource for researchers, trade unionists and policy makers. This new section of the Class website is dedicated to hosting research and policy publications from our supporting unions and the wider trade union movement. The Library will become an important resource, eventually covering a broad policy field including the economy, health, public services, education, housing, welfare, inequality, and many more. Class will be adding to The Library over the weeks ahead and links to the publications hosted will be included in regular Class email bulletins which are guaranteed to reach a wide audience. If your union would like to submit a publication for consideration to The Library please contact info@classonline.org.uk. Work areas: Economy and Industry, Education, Health, Housing, Inequality, Welfare State. Tags: austerity, class, economic alternative, education, fair economy, health, housing, inequality, politics, social state.